Dated and received 12th May 1936. 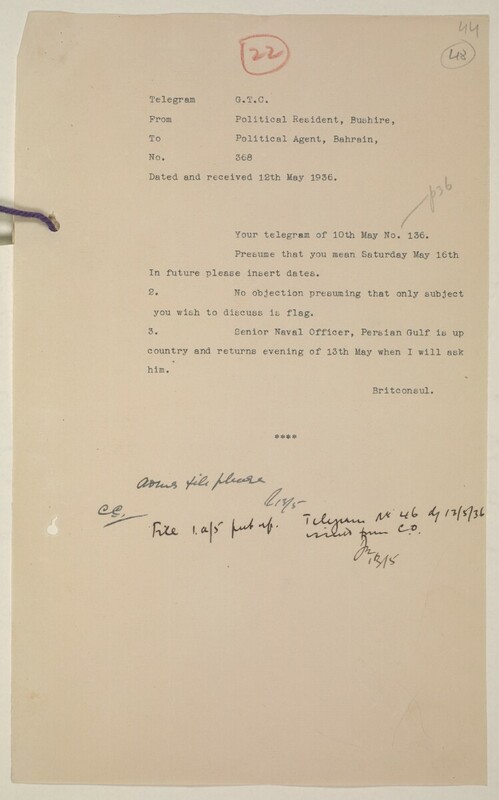 Your telegram of 10th May No. 136. In future please insert dates. you wish to discuss is flag.